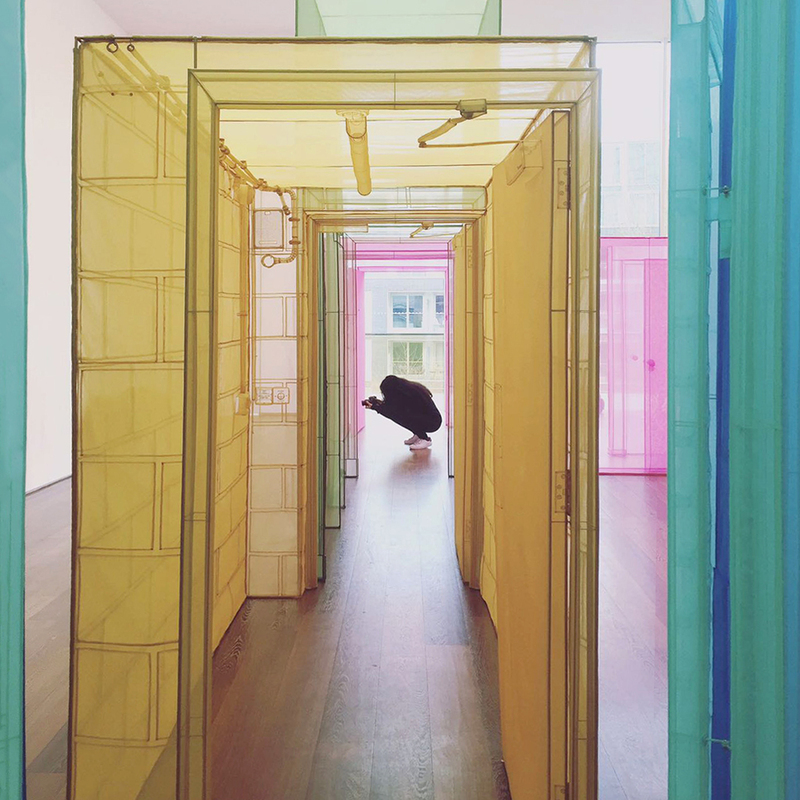 I absolutely loved the Do Ho Suh exhibition at the Victoria Miro gallery, in particular the walk-through configuration of nine life-size 3D rooms occupying the 25-metre-long Gallery II. What I found fascinating about these structures was how visually striking they were despite being made from a delicate, translucent textile. The see-through, gem like rooms of fabric made you feel as though you had stepped into another world somewhere between reality and imagination. The transparent structures allowed the viewer to observe others walking through the space without interference, merging people and space into one experience. This layering of people and rooms highlighted the relationship of the body to buildings, form and space. As you walked through the corridors, you’re immersed in blocks of colour, each colour representing a place in time. Each space has familiar details that have been meticulously executed like light switches and fire escapes. This familiarity makes you even more curious as to what each room represents which in turn guides you to use your own associations with the objects to determine where, when and what each room represents to you triggering hidden emotions and memories from your past.